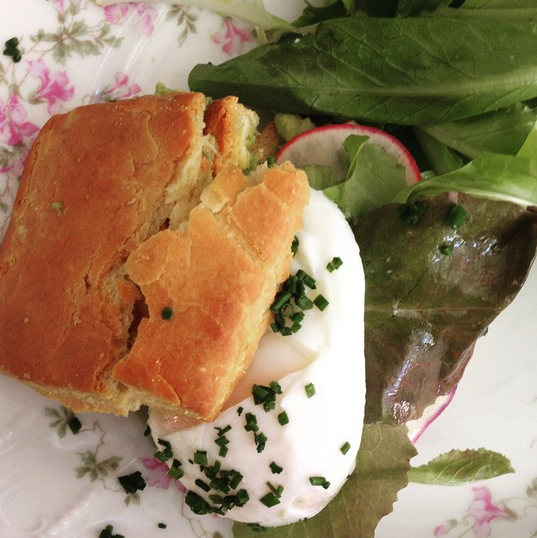 Stomping Ground | Gluten Free D.C.
What I got: A sandwich with smashed avocado, farm greens, radish and a poached egg on a gluten-free biscuit. The sandwich was delicious but on the smaller side. Everything tasted super fresh, though. The biscuit is made at The Happy Tart, a gluten-free bakery right next door. (Blog post to come.) I also enjoyed at least two glasses of the cucumber lemon water at the counter. Gluten-free friendliness: I’m always pleasantly surprised to find any sort of gluten-free sandwich in a restaurant, so A++ for the gluten-free biscuit option. Because Stomping Ground emphasizes local and sustainable food options, the menu is seasonal and changes often. If you’re not into biscuits, though, it’s not hard to find other delicious options like cowboy steak & eggs, farmer’s frittata and chia seed pudding. You can check out their current menu here. Overall vibe: The bright and airy restaurant gives off a friendly feel that makes you want to stay forever. There are cozy booths and a long, wooden table that’s great for getting work done or reading a book. Alexandria’s Del Rey neighborhood is a bit of a trek from DC, but there are gluten-free biscuits, so…worth it? Stomping Ground is right in the middle of the Mt. Vernon Ave. action, too, which makes it a great spot to grab a bite to eat before or after shopping.